When someone is looking to make a career change, find a job after college or reenter the workforce after being a stay-at-home mom, they can often be overwhelmed by the time, effort and emotion that goes into the job search process. They try to take on this dizzying task on their own instead of enlisting the help of an expert to make the process move more smooth and efficiently. What’s more, even if they do desire some professional help with their career decisions, they may not know what options they have and, more importantly, which option is best for their situation. Career experts come in different forms and go by different names. There are career counsellors, career consultants, headhunters, recruiters, career advisors, career coaches, resume writers – the list goes on. So, what are the differences between these career professionals? And how do you decide if career coaching is right for you or if a career counsellor can do the trick? Career coaching is a form of life coaching that is career-specific and focused on helping an individual achieve their professional goals – whether that means transitioning into a new career they truly love, deciding on a career path that plays on their strengths and values or moving up the career ladder at their current company. 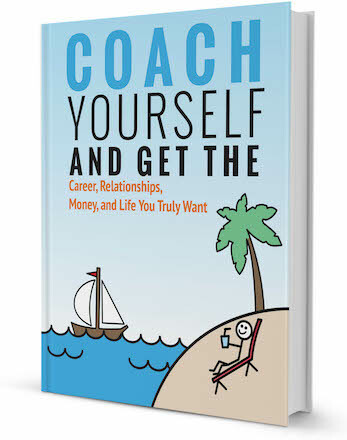 Career coaches can help people with a wide array of career-related issues. Some seek career coaching because they’re stuck in a dead-end job that brings no meaning or purpose, while others are challenged with finding a balance between their personal and professional lives. Some clients know exactly what they want to do with their lives, but need help finding and executing a plan to get there, while others have languished without a clear calling in life. Career coaching helps people with all of these concerns and more. Sometimes the path to success is clear and no additional support is needed to get there, but more often than not there are barriers that prevent many people from reaching what we like to call Career Nirvana. Once the exploration period is complete, many career coaches can also help with the next steps, which is preparing yourself for the job search and finding that dream job. These coaches often have extensive background and training in what are called ‘job search mechanics’ – resume and cover letter writing, LinkedIn profile optimization, conducting mock interviews, tapping into the hidden job market, etc. Essentially, all of the parts that come into play when someone wants to either reentering the workforce, finding a job after college or making a career transition. What kind of training do career coaches have? The coaching industry is not regulated, meaning that technically anyone can throw their hat into the ring and call themselves a coach. Whether a person has taken a one-year coach training program, a weekend online course or no training at all, they can legally call themselves a career, business or life coach. When coaches get listed on Noomii, the company verifies which coaches have ICF accreditation. Then, once the credential is verified, Noomii prominently displays the relevant ICF accreditation on the coach’s profile. When choosing a coach, you may want to ask them if they have an ICF designation. This guarantees that you are dealing with a certified coach that adheres to ICF standards and ethical guidelines. If you want to change something in your professional life – whether you are looking to switch industries, transition to a higher role at your company, negotiate a higher salary, go back to school or become a better leader at work – a career coach can definitely help. Of course, there are other professionals to consider when you are looking for job help, so it really depends on your needs. For example, if you needed a job yesterday, you may want to contact a headhunter or recruiter, as they specialize in getting people hired fast. Of course, a career coach could help here too and many of them have worked as recruiters, as well and some still do. If you are gainfully employed but want to find a better job that fulfills you, a career coach is definitely the way to go. If you are employed but wish to start your own business, a career or entrepreneurship coach would be a great help in turning your visions into a reality. Or if you are a senior manager or C-suite executive looking for coaching, you should opt for an executive coach. Wondering if hiring a career coach is the right choice for you? Take our quiz to help you figure out whether or not you need a career coach! 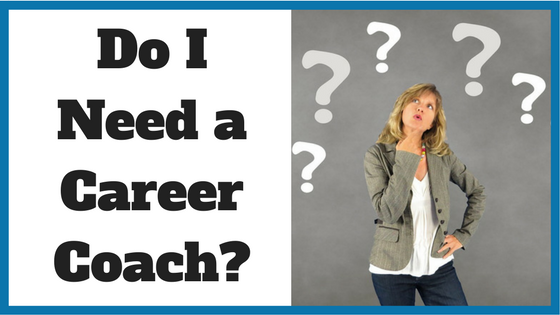 How do I find the right career coach? If you decide that a career coach is the best option, the next step is finding the right one to work with. So, how does one do that? And what do you look for when searching for a career coach? When searching for the right career coach, you want to take a few things into consideration, such as their training, employment background, coaching process (approach, method), etc. But perhaps most importantly, you want to hire someone who you have a good connection with. Not all types of personalities mix well. You should be able to get along with your coach and feel confident in their instruction. The coach’s employment background is another factor to take into consideration when hiring a career coach. For example, if you are looking to transition into a career in IT, you may consider a coach with a background in this field. Or, if you need help tapping into the hidden job market and making better professional connections, a former recruiter, headhunter or hiring manager will be able to offer insider information that others won’t. Being clear on your professional goals right from the start will make your search a lot more focused. If you take some time to write your goals (and challenges) out, it will be easier to convey them to the coaches when you set up free consultation calls. Find a coach today with Noomii! Searching for products and services online can be daunting, as the possibilities are often endless. Noomii.com makes it easy for you to find a suitable career coach to work with using our personalized coach recommendation service. You simply fill out your contact information, tell us about yourself and what you want out of coaching, set a budget range and we will do the rest. Once we get your request, we will email you one to three coaches (or more if needed) whose experience and background meet your specific needs. All of the coaches on our network offer a free consultation to figure out if they are a good fit for you. If you are ready to hire a career coach, let us help you find the best fit! Browse our directory of career coaches and get a FREE consultation or request a personalized coach recommendation!